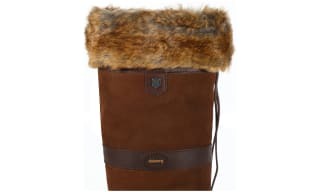 If you’re fed up of constantly repurchasing sub-par socks time after time, then take a step back from the high street and into a pair of luxury socks from our range of premium brands such as Barbour, Joules, Seasalt and more! For everyday, we have a beautiful selection of cotton ankle socks, sure to keep your feet warm and comfortable all day long. 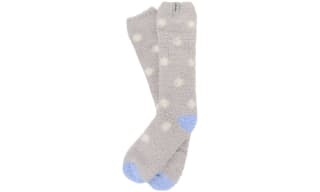 With beautiful designs a-plenty, you’ll be spoilt for choice with our range of ankle socks! If you live in your wellington boots, then our boot socks are the ideal companion to your wet weather footwear. With a range of Hunter boot socks specifically designed to complement their stunning range of wellies, you’ll easily find a pair to make your boots even more comfy than ever! For days out in the field, we have a bold and busy collection of shooting socks to really elevate your country sports attire. Just because ladies ankle socks are everyday essentials doesn’t mean that they have to be boring. Any active country sportswoman will find her perfect fit in our selection of shooting socks here at Outdoor and Country. With a beautiful choice of colours and styles, the shooting sock offers you the opportunity to brighten up your outfit whilst providing extra warmth and comfort in your outdoor boots and shoes. Go for the traditional burgundy or olive shades, or give your sporting breeks a modern twist with a bright splash of colour. 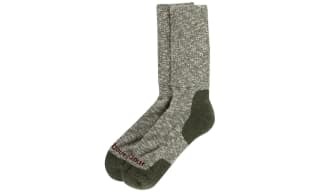 Made from durable and comfortable cotton, these sporty shooting socks have been expertly knitted to just the right tension for a perfect fit. 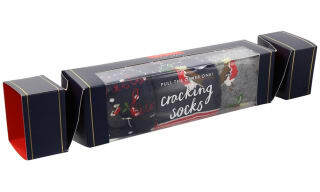 Whether you’re sporting a pair of knee high boots or wellingtons or classic loafers or brogues, these socks will easily complement any country outfit. 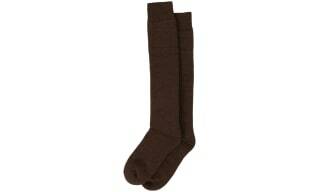 From leading brands such as Pennine and Barbour these women’s shooting socks will see you well out in the field. Our range of women’s short boot socks includes lovely knitted and Fair Isle styles which are sure to get your toes tapping in delight. 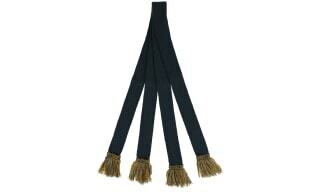 Ladies boots socks are perfect for wearing with walking boots and short wellingtons. Wellington boots can often be cold and miserable, particularly in the winter months, that’s why we’ve brought together a fabulous range of ladies welly socks. 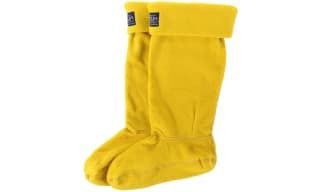 Soft fleece welly socks and tall wellington socks feature in this range with lots of options in the range of Hunter welly socks. Patterned, fury and knitted cuffs are all options, or for those who prefer a less bold statement, chose the Barbour ladies wellington sock, sure to be nice and comfy.